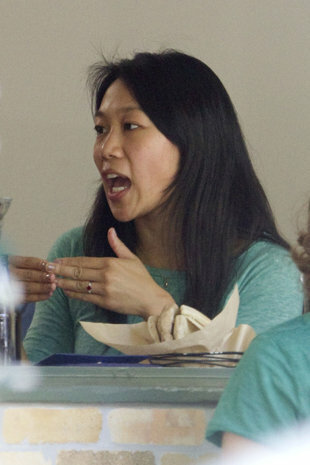 Comments Feast your eyes on a real treat! Featured today is a superfine natural, unheated Ceylon yellow sapphire – a premium oval gem of 2.06 carats set in 22 Karat gold as a Jupiter Talisman pendant. 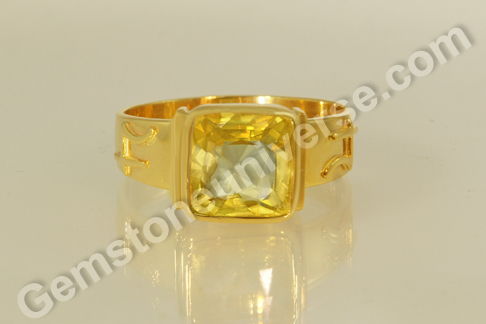 The gem has the finest golden yellow color that is rich and gives it an imposing presence. This Ceylon yellow sapphire has excellent clarity, an electric lustre and adamantine brilliance, so pronounced that the onlooker is bedazzled with diamond like brilliant flashes! In vedic astrology, Yellow sapphire or Pukhraj is the gemstone of Jupiter/ Guru/ Brihaspati and is used to harness his saatvik powers in planetary gem therapy. A gemstone is mostly measured on the benchmark of 4C’s to ascertain its value and ‘fineness’ (barring of course, cases where the gem is so very rare that only rarity becomes the value determining factor). While color clarity and carat weight are well discussed parameters, the ‘cut’ is the least discussed. When you look at this gem it is one of the finest specimens of colored gem lapidary. Lapidary or the art of gem cutting and faceting is not as simple as it may seem on the surface. The story with diamonds is different with the cutter looking for accentuating the brilliance, dispersion and scintillation. While the oblique pavilion facets throw back the light causing brilliance, the crown facets cause the dispersion and give the resultant ‘fire’ to the diamond. A round brilliant cut (any caratage, even the minutest) diamond has 58 facets (culet included). It is these large number of facets that scintillation or the twinkling effect! The world of colored gemstones is much more complicated because of two major factors – firstly the colored gemstones possess lesser dispersion and secondly the presence of color (the prize factor) needs to highlighted keeping the nature of the crystal structure of gemstone and mineral characteristics in consideration. 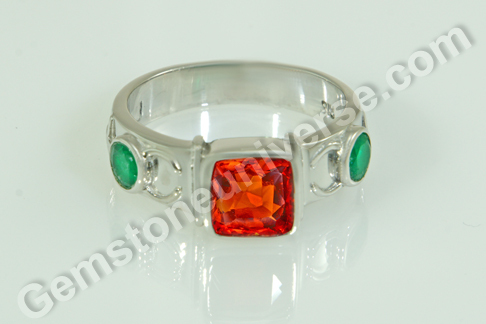 The colored gemstone also shows several shades at different angles. The way the pavilion of a gem is fashioned, more specifically the size and angle of the pavilion facet that often determines, how the light is thrown back to the eye and consequently how brilliant the gem appears. It is important to understand that different gem minerals have different refractive indices. 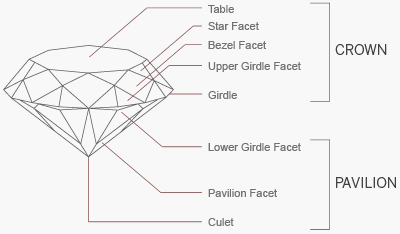 Aside of the angle of pavilion, the critical angle of the gem is extremely critical too. The critical angle of a gem is inversely proportional to the refractive index of a gem. 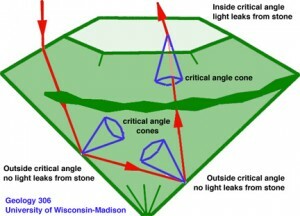 For instance if the light falls outside the critical angle of the gemstone (which it will, if the pavilion angle is not fashioned correctly), only the total internal reflection occurs and light rays are unable to exit the surface and give a brilliant appearance! However, if the pavilion facet is fashioned in keeping with the critical angle of the gemstone, the light finds the right exits (without causing total internal reflection) giving a brilliant appearance to the gem. This is called Planned leakage and is completely in the hands of a master gem cutter! The longer the path of a ray, the more brilliance will be seen and harmonious energies will be absorbed by the body. However, the greater incidence in the world of gemstones is that the tremendous possibilities that lie dormant within the heart of a gemstone are sacrificed for retaining a larger caratage, by fashioning it, without much thought on how the light could be made to play up its color and beauty! Many people talk about Jyotish Gemstones and Jyotish Quality but fail at the very first parameter which is the cut. A Jyotish Gems has the perfect cut to maximize the play of light. Reject all other samples which have a cut made just to save weight and sacrificing on brilliance and the play of light. 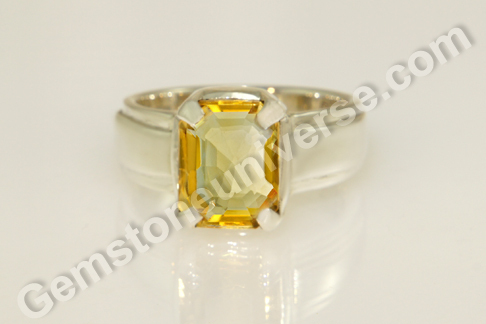 At Gemstoneuniverse, you can expect to find the best of lapidary work in colored gemstones too. And do remember, it is only when the cutter works his magic that the gem makes the Cut! Our commitment to Planetary Gem Therapy is absolute and every single Gemstone that makes it to the Gemstoneuniverse inventory is a true Jyotish Gem. Next time when you evaluate a Gem for Jyotish Quality the first thing you should look for is the cut! It is a gem that is famed for its allure, for it’s lovely color, for the divine symbolism, for the royal splendor that it is inherent to it. The amethyst gemstone, better known in the West as the birthstone of the month of February, is one that not only has fantastic planetary powers but is extremely attractive to behold, even in its raw crystal form. Featured today is a lovely African Amethyst of 4.16 carats that it is set in sterling silver as Saturn talisman pendant. 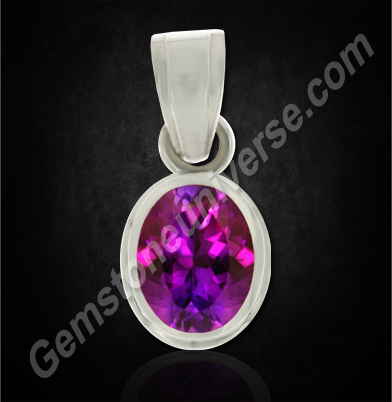 The oval cut gemstone has a lovely Royal purple color characteristic of African amethysts and excellent clarity. The amethyst is completely natural unheated and free from any treatment. Amethyst is a purple gem that belongs to the quartz group and has a hardness of 7 on Moh’s scale. 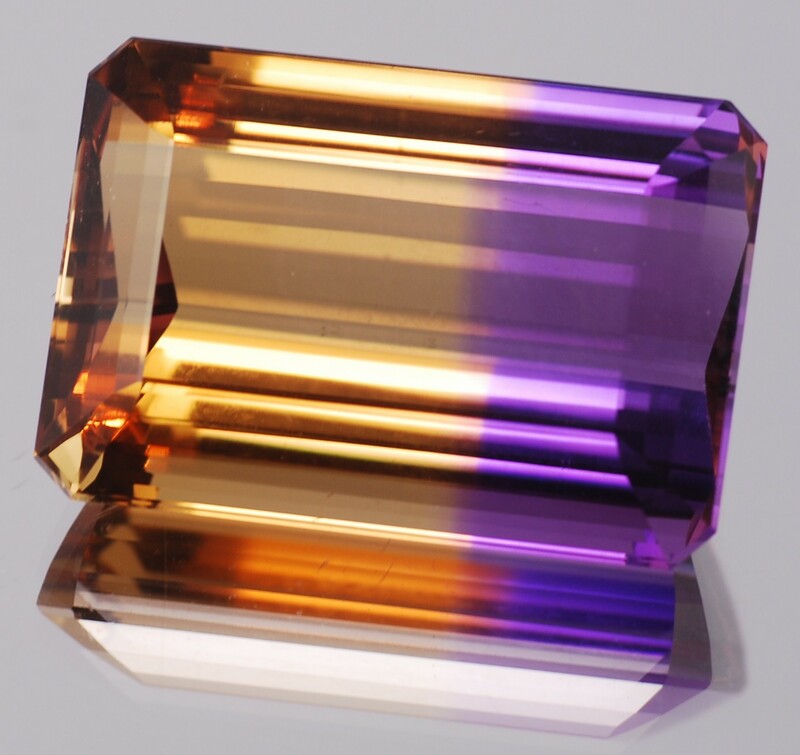 The gem comes in several shades of purple, lilac, lavender and sometimes exhibits rosy hues too. Most of the Amethyst available in the market is heat treated, (to give it a better – deep and rich color) unless stated otherwise. 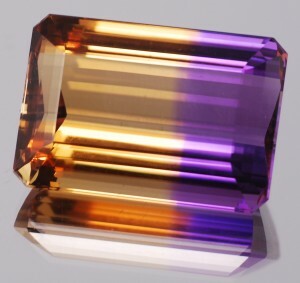 Amethyst also known as jamunia or katela is the substitute gem of natural blue sapphire or the neelam gemstone. 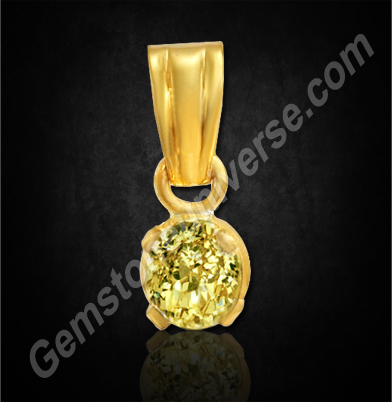 It is a gem that can be used to harness the saatvik energies of planets Saturn /Shanidev. 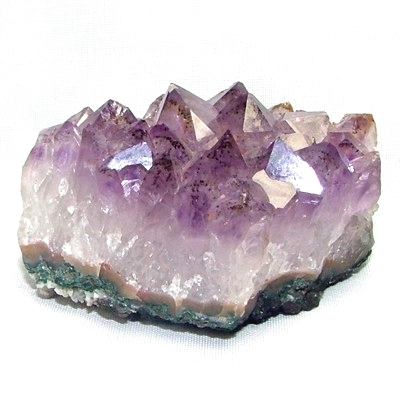 The metaphysical properties of amethyst are well known. It is a healing gem that is believed to cure addiction to alcohol and also protect the wearer against the evil eye. Interestingly, the name of the gem comes from the Greek word a– (“not”) and methustos (“intoxicated”) i.e. a gem that prevents the wearer from falling prey to drunkenness. Comments A thing of beauty is a joy forever and nothing reiterates this fact more than precious, gorgeous gemstones. 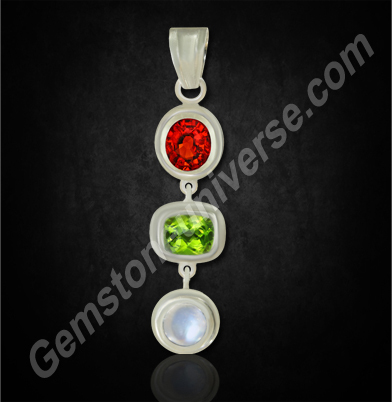 Individuals can combine more than one gemstone into a singular talisman and still get optimum benefits. One need not sacrifice personal preference / comfort for planetary gem therapy – where there’s a will there is a way!Featured today is a marvellous three gem pendant (tri-ratna) which has a natural burn cinnamon color Ceylon Hessonite of 3.23 carats, a fantastic checkerboard-cut natural olive color peridot from China of 2.20 carats and a natural Blue Moonstone (with great adularescence/ schiller) of 2.09 carats from India. All the gems are completely natural and treatment free and have been set in a sterling silver talisman pendant. Noteworthy is the fact that it is not just an ordinary pendant but is a planetary bhasma pendant where the sacred herbal ash of the planet associated with each gem sits concealed in the tubular design element surrounding the gem. 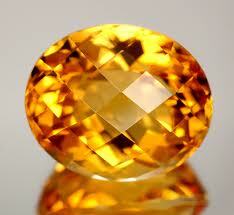 – Hessonite also known as gomedh/ gomedhaka is the gemstone of the North node of the Moon or planet Rahu. The sacred herbal ash or bhasma of the Doorva grass, which is the planetary herb of Rahu, is concealed in the tube design around the hessonite gem. – Likewise, the peridot or the zabarjad – the substitute gem of natural emerald/ panna, the gemstone of Mercury/ Budh has the apamarga bhasma (planetary herb of Mercury) sealed in the tube design. – And lastly, the natural Blue moonstone or chandrakant mani, the substitute gem of natural pearl and also the repository of Lunar energies, has the palash bhasma (planetary herb of Moon) sealed in the design around the Moonstone. Many individuals are uncomfortable with too many rings or for that matter even a single finger ring. It is a personal trait. Similarly, there are lines of work that require individuals to remove finger rings for instance, those in the medical profession. In such cases, implementing planetary gem therapy as a pendant works the best, rather than removing and re-wearing the rings all the time – the latter is a sure way to render gem therapy almost ineffective. Planetary gem therapy requires that gems, once consecrated and energized be worn on person, without removing to gain optimum benefits. Note: Thank you Dear Patron for your gracious testimonial. Your generous comments made our day today! The Most powerful Gemstone-Blue Sapphire-The Gemstone of Saturn- Adamantine Brilliance, electric Lustre and a color so fine it will thrill you! Comments The Fine Ceylon Blue Sapphire is a perfect example of the most essential qualities of a Jyotish Gemstone. “Inward glowing lustre, transparency, illumination with rays, sparkle, free from impurities and good formation of the shape are the characteristics of good gems” -(Agni Purana, 246.13-14). In Today’s world of modern Gemology when the expert has the access to modern instruments and tools and a wealth of information one cannot just stop, wonder and admire how accurate the Shastras (sacred texts) are for what are called as a features of a Gemstone. The first striking feature in this Blue Sapphire is its adamantine brilliance and that is the inward glowing lustre and illumination with rays that the Agni Purana is talking about. Beautiful much sought after Kashmir Color, scintillating cut, electric lustre, and lack of treatment such as heat make it a potent and powerful Jyotish Gemstone. In fact the features of this Blue Sapphire are so perfect so premium that it is at the apex of Gem pyramid and can be used to make fine jewellery. 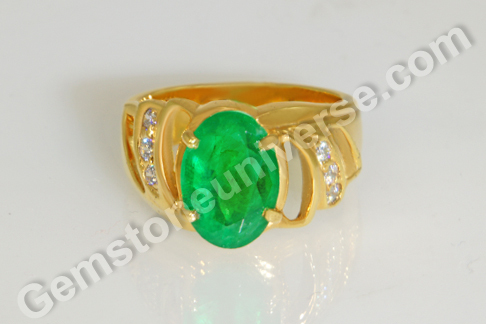 At Gemstoneuniverse our patrons are as dear to us as our Gemstones and our love for Planetary Gem Therapy. 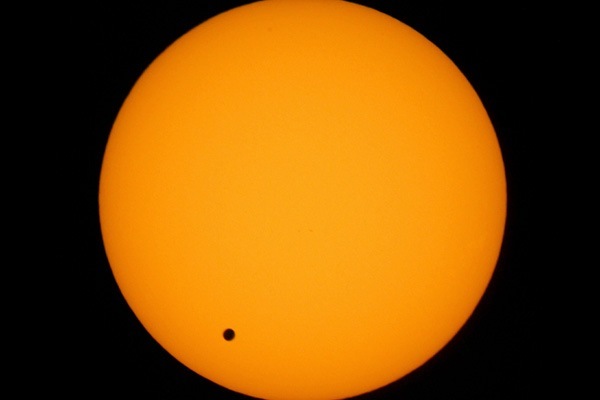 You can view the video above and enjoy the fine miracle of nature. However, We would like to draw your attention to one fact, as and when a Gem is listed on the Gemstoneuniverse website the date of listing is clearly mentioned on the bottom of the page. 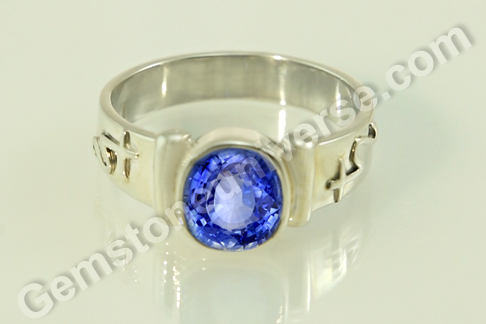 This Blue Sapphire was listed on 07th March 2010 at a price of $650 per carat. Today we are in June 2012 and this is the sourcing cost of a Treatment Free, 3+ carats Blue Sapphire with features equivalent of above. As specified before, once a Gem is listed its price never gets changed despite market conditions or rarity. 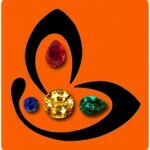 That is the Gemstoneuniverse value addition. We have a strong belief that each Gemstone has its own destiny just like each human being is unique and has its own destiny. Comments Deep down from the peaty insides of the earth emerges a green, verdant mineral – rare and precious formed over a period of 500 million years …that is the Emerald for you. Hard to imagine how a crystal, so intense full of colour and light, gets formed in the dark recesses of the earth!Featured today is a stunning Zambian emerald of 2.82 carats set in and 18-karat yellow gold ornate ring. The oval cut Zambian emerald having the deep emerald Green colour is fully natural and free from any treatment and has good clarity. The colour of the Natural emerald is accentuated by the diamond stimulants on the sides of the gem. Natural emerald /Panna /Marakata is the gemstone of planet Mercury/Budh and is used to harness the energies of this planet in planetary gem therapy. Zambian emeralds are distinctly identifiable by the deep rich tones and saturation of colour in the gem. Zambian emerald Green is a favourite colour among designers for jewellery making. Although Zambian emeralds are generally more affordable than their Colombian counterparts, the value surely cannot be determined on the basis of origin only. A Zambian emerald excelling on the 4 C’s can be far more expensive than just an average Colombian gem. Comments The stamp of royalty is marked by nature on this resplendent gemstone. The full –blooded, enrapturing ruby – as resplendent as its planetary deity – the Sun. The gemstone featured today is a beautiful 1.46 carat natural and treatment free Ruby from Mozambique. The natural Ruby is set in an 18-Karat yellow gold ring and is ensconed by flawless natural diamonds that have a total caratage of 53.2 cents/ points. The cushion cut gem has excellent clarity and lustre that highlight its vivid reddish pink color beautifully. Those who understand fine gemstones and their color would understand and see that Planetary Gemstones are unique and are at the apex of the Gem Pyramid. The patron who ordered this ring wanted a small investment option that also brought in a very aesthetically done ornate ring. 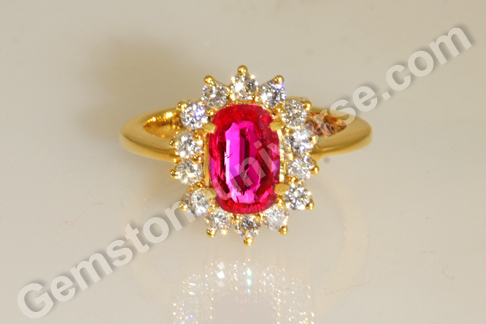 Natural rubies or manik gemstone has been appreciating in value, tremendously over the last few years. As the gem becomes scarcer, its value has been increasing in a geometric progression and ruby gemstone makes for a very handsome investment option. It is in fact very difficult to put a price if the Ruby is a Mogok ruby from Burma! 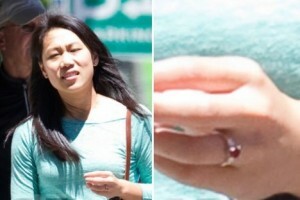 Interestingly, the Facebook founder Mark Zuckerberg gave his wife Priscilla Chan a Ruby wedding ring. While the little knowing critics have been slamming Mark Z, for his ‘frugal choice’! Those in the know are well aware that even a small ruby, with a good origin and great color can give a larger diamond a run for money any day. The Ruby can be most certainly one of the most expensive gemstones!